Whirlpool Corporation (NYSE:WHR) is the number one appliance manufacturer in the world, with approximately $21 billion in annual sales, 93,000 employees and 70 manufacturing and technology research centers in 2016. The company markets Whirlpool, KitchenAid, Maytag, Consul, Brastemp, Amana, Bauknecht, Jenn-Air, Indesit, Hotpoint and other major brand names in nearly every country throughout the world. In Europe, Middle East and Africa (EMEA) it has approximately 24,000 employees, a sales presence in more than 30 countries and manufacturing sites in eight countries. Whirlpool EMEA is an operating segment of Whirlpool Corporation. Whirlpool Corp.’s European Operations Centers are located in Pero (MI), Italy. For generations, Whirlpool Corporation has been creating purposeful innovation and helping people make the most of time so they can focus on what really matters – their families and their lives. In everything we do, and for generations to come, we will sustain our commitment to make each experience an extraordinary one. Whirlpool has approximately 93,000 employees with the workforce dispersed all across the globe, instant and hassle-free connectivity was a critical business challenge. This challenge was compounded by the complex and distributed organisational structure. This left employees frustrated while they tried to find and connect with coworkers to collaborate and make real-time business decisions. Connectivity: The legacy system was more of an employee information database. It lacked connectivity and did not empower or inspire any employee to find and connect with their coworkers. Usability: The legacy system was visually out-of-date and did not encourage user adoption. Since there was no smart search criteria, employees were unable to find their coworkers by department, skills, interests, office location and more. Data Maintenance and expenses: Whirlpool faced significant IT costs for maintaining and updating employee profiles. Also, there was an expense and hassle of managing data in multiple locations. The company wanted a cost-effective solution that provided smart and filtered search criteria, and that was smartly designed to deliver a simplified user experience on web and mobile. Whirlpool chose MediaAgility as a digital consulting and implementation services provider, to deliver, maintain, and support a comprehensive employee information and engagement solution called WhitePages. The solution fuelled collaboration by giving their employees power to instantly connect at a moment’s notice. 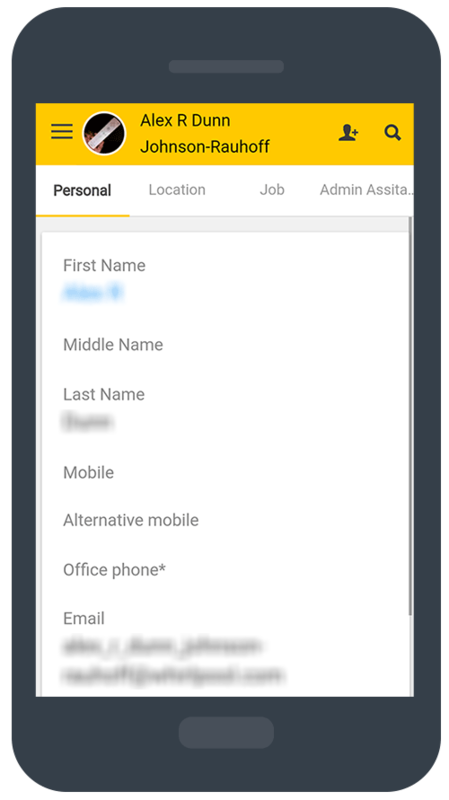 WhitePages for Whirlpool powered by Google Cloud Platform enables approximately 93,000 Whirlpool employees to search for their coworkers using a variety of search features and view their profile information such as contact details, skills, area of expertise, job details etc. The application enables end users to create, maintain and share personal contact groups using easy to use filters. WhitePages also facilitates group admins to create and maintain rule based Google Groups that are kept up-to-date by backend processes. Hassle-free connectivity: WhitePages has made it easy for Whirlpool employees to search and connect with coworkers throughout the company via call, email, and message, irrespective of different locations. High availability and accessibility: With Google’s single sign-on feature, users can quickly access the data anytime through web and mobile. WhitePages is a globally available application for Whirlpool employees. 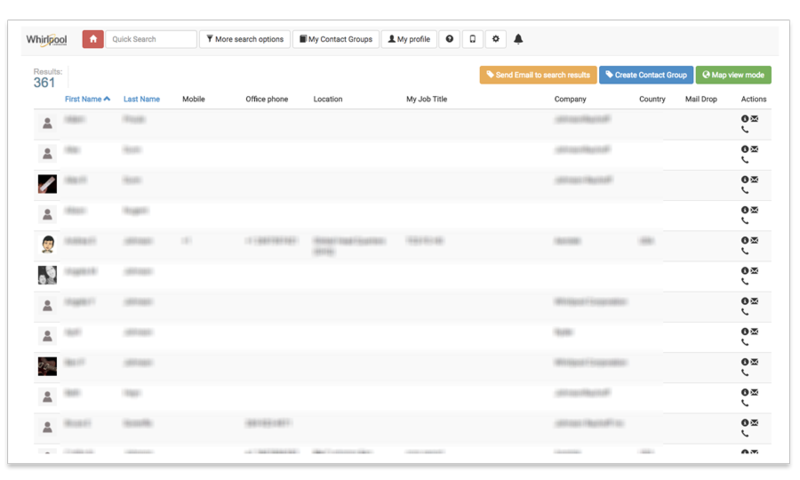 Easy to use: The solution delivers a rich user experience to users by giving them the power to maintain their own data, view coworkers’ contact information, create contact groups, and connect with them on-the-go. Intuitive interface: User interface of the solution is visually modern and in line with Whirlpool’s branding. With Google powered solution, Whirlpool is fostering collaboration and agile connectivity across all levels of the company. WhitePages is a one-stop solution where employees can find coworkers they need to do their jobs.